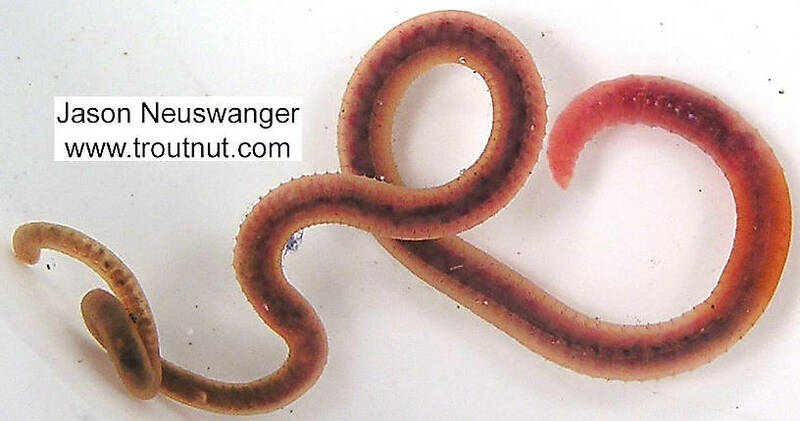 I know most people know what a worm looks like, but when trying to tie an imitation, the memory is often a poor source of accurate color information, and a picture helps to get the right shade. One thing that surprised me in my sampling is that quite a few worms did turn up. 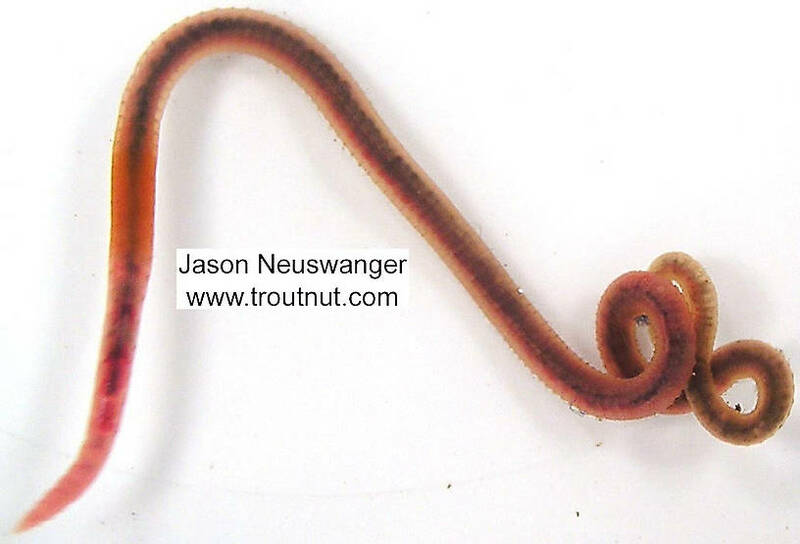 Before I was a fly fisherman, when I used worms for bait, I always thought they were merely a tantalizing morsel and not a regular trout food, but I've since realized that there are quite a few worms that live in the sediment on a stream bottom. This animal was collected from unknown on February 7th, 2004 and added to Troutnut.com on January 25th, 2006.